Your non-stop life keeps you on the move. You answer a call in the car, keep talking out on the street, and say your goodbyes while leaving the coffee shop—and you expect to sound your best everywhere. 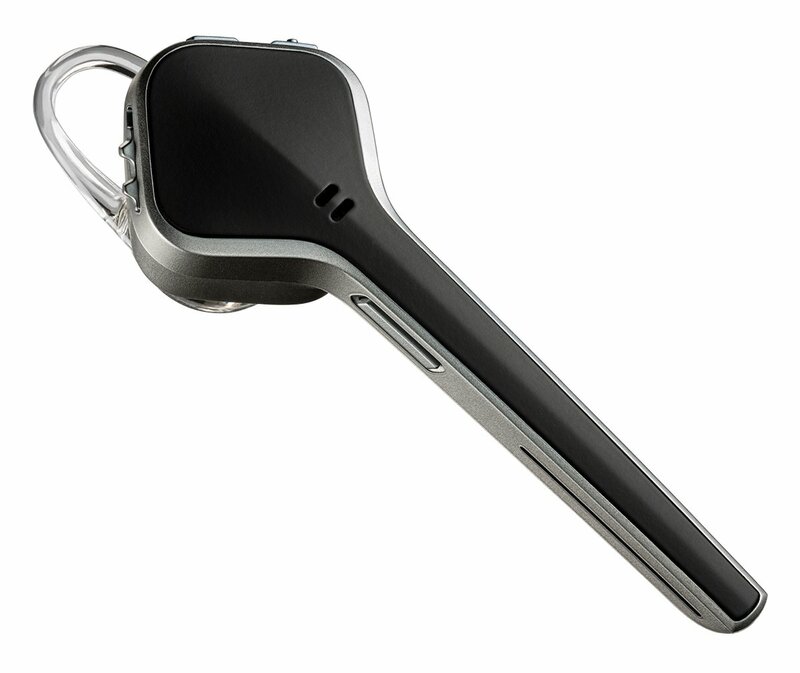 The Voyager Edge Bluetooth headset reliably eliminates unwanted noise with three precisely tuned microphones and enhanced noise canceling, optimizing your voice so your caller hears you, not your surroundings. 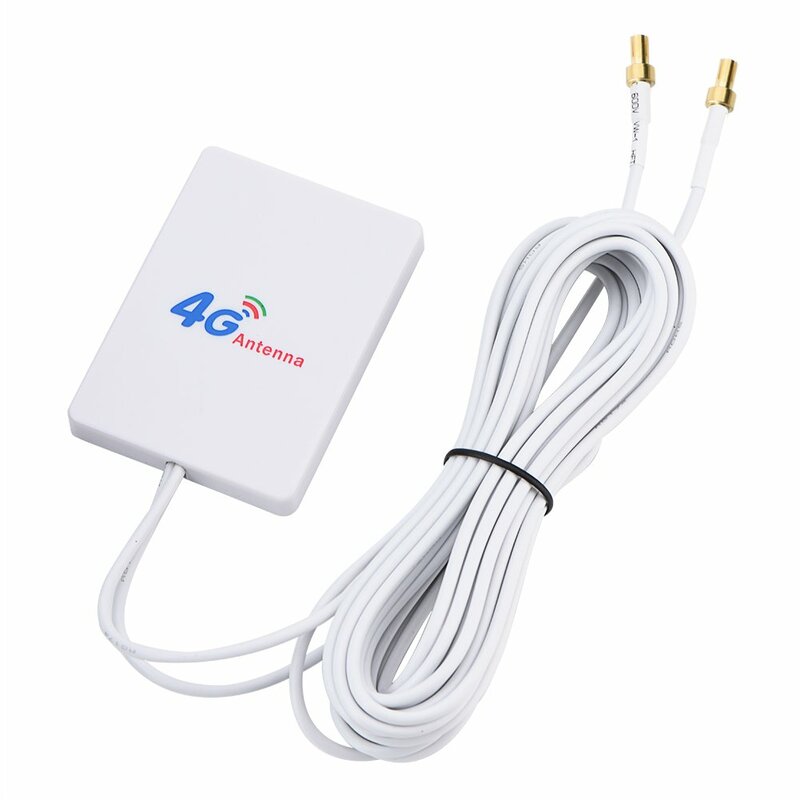 Additionally, this headset is ready for wideband audio, making it compatible with smartphones enabled for HD Voice. The Voyager Edge in black (). Performance and power to keep your conversation going (). 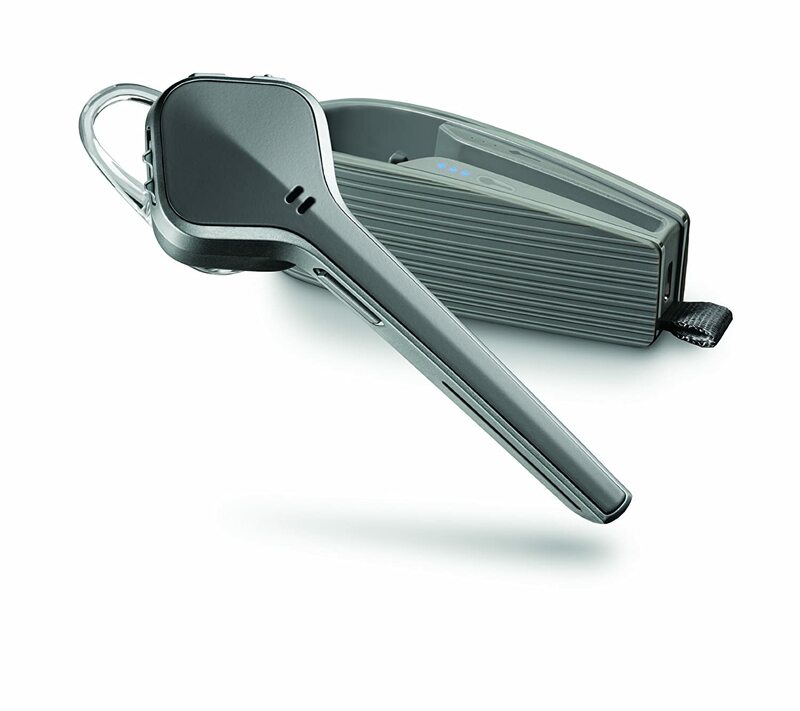 Fully charged case gives your Voyager Edge up to 16 hours of talk time (). Simplify your communication experience with a variety of free apps from for both iOS and Android devices. Use the free Hub ™ app to explore features, change settings, check the connection, battery and smart sensor status, and even help you locate your lost headset. If you misplace your Voyager Edge, use the Find MyHeadset feature to send an audible tone to help you locate it nearby, or if it's out of Bluetooth range or powered off, you can use the Backtrack activity log to map where it was last in use. The Find MyHeadset feature is part of the Hub app for iOS but remains a standalone app for Android. To help you sort through your busy workday, the InstantMeeting app automatically identifies conference calls and dialing details from your calendar, reminds you just before the meeting is scheduled to begin, and with one touch connects you to your conference call—no need to pull over and toggle between screens to find all those numbers and access codes. I have bought one of these for all of my employees. It has great battery life, is light weight and comfortable to wear (with modifications - see below) but MOST importantly, the other party can't tell I'm even on a headset. It's that good. The Mod: I did not like the pressure inside of my ear. I don't mind something going around my ear so I install the clip-on ear hook that comes with it. Then, I modify the soft silicon ear bud slip-on by removing the "loop". This gives me the soft part in my ear canal but no pressure in my ear to keep it in place. The hook does the holding. I can wear this device all day long everyday and it never annoys me. In fact, I often forget I have it on. For context, I work 100% from home, and am constantly on conference calls. I've taken con calls while working out at the gym, on the toilet, cooking dinner, driving to and fro with the windows down, at restaurants (noisy lunch fare), schools, daycares, and my regular home/work environment. I would say in general the headsets I own get put through the ringer, even more so since I'm not chained to my desk for the majority of the day. Here are some of my observations from living with this headset. While I wouldn't necessarily recommend this practice, the headset does work well in noisy environments, for instance a gym environment. Customers were able to hear me just fine and it was able to noise cancel any local grunts and groans from neighboring patrons when I needed to talk. The physical mute button near the base of the boom mic was perfect for when I was doing my reps. Similarly, the noise cancelling works extremely well in the bathroom, and drops out echo to the receiving end of the call. I've done multiple calls on the can and have never had a complaint about echo. In restaurants, it can be a bit hit or miss depending on your neighbors, in general, I've noticed it function quite well, but sometimes a neighboring voice will eek in to the receiving end. I generally don't take calls in restaurants (or the gym), but in the few work emergencies where I made the compromise, the Edge performed above expectation. As prefaced above, it's driving to and fro with the windows down where the Edge starts to lose ground. 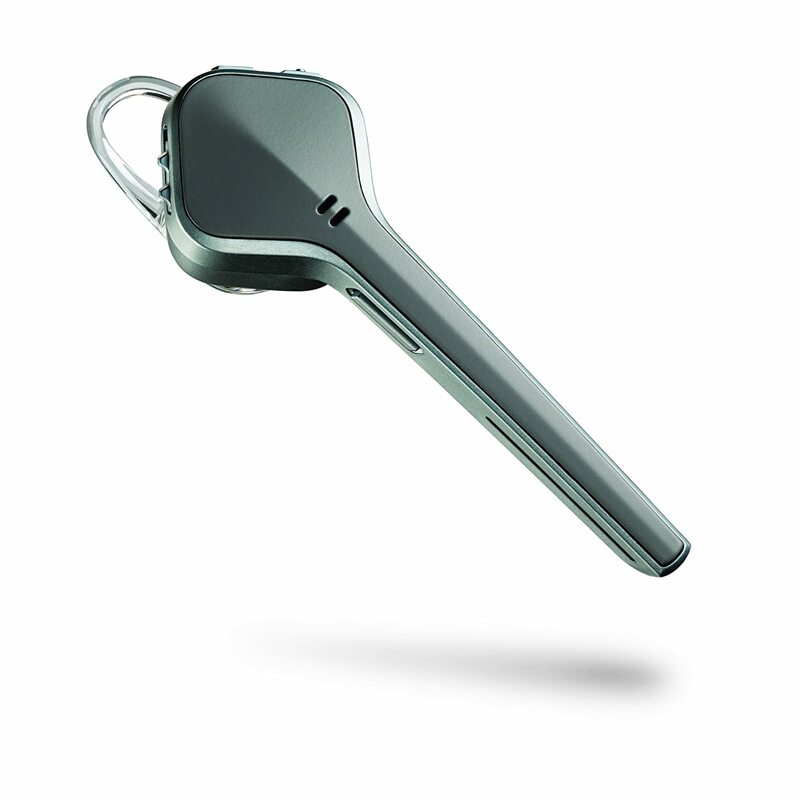 With my previous Jawbone devices, if I had all of the windows down and the device on the side facing away from the closest window, then my caller could not hear any wind noise whatsoever. With the Edge, even having the windows cracked would produce noticeable wind noise. 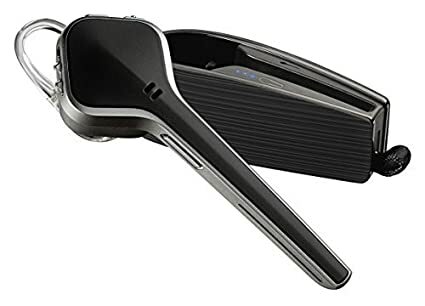 My other test is to walk to my mailbox (there's a wind tunnel effect on the path to the mailbox), which it also failed, although to its credit, the only headset that has passed the mailbox wind tunnel test was the Gen 1 ERA. After the most recent firmware update, the Edge seems to work a lot better wind noise in the car, but I have yet to redo its mailbox wind tunnel test. I'll update the review after a few weeks to see how it fares. I purchased the headset with the charging base, so I can't speak for how the battery fares without it. I attached the charging base to my key chain and have made it a habit to always dock the headset in the base when it's not in use. The headset will charge while powered on, and interestingly enough, you can continue to use the headset while it's charging as well. I've actually done this before; it certainly wasn't the most comfortable thing, but it worked. At full charge the headset will consistently state 6 hours of talk time, but I've gotten more out of the device in practice. Comes with some standard accessories, Wall-Charger, Portable Charger, Micro-USB Cable, instructions, and a standard bag of ear pieces. I found the portable charging base to be extremely bulky and cumbersome. It fortunately works well for my life style since i tend not to carry my keys with me often (I have a door code, so i lock my keys in the car). I can't carry it with me if I'm wearing a suit or anything with lower profile pockets as it's much too bulky. The headset does have a fairly secure fit in the base itself, but I've had it fall out on a few occasions. Fortunately, I was able to identify it missing before it became someone else's property, but it would've been nice if Plantronics offered a secondary measure like a fitted elastic strap for extra security. 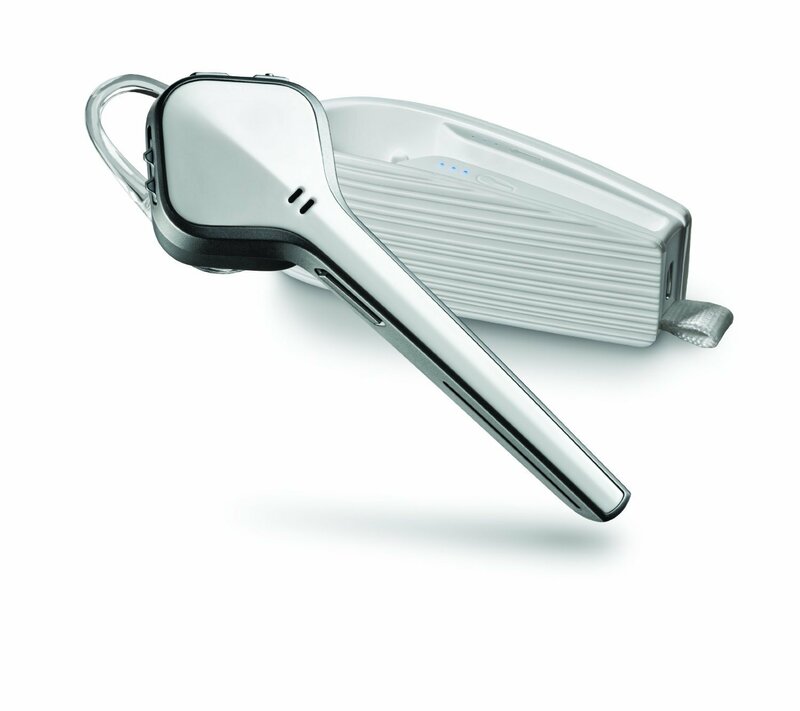 This thing is loaded with features; I can't speak for iPhone, but the Android Plantronics Hub App is a fantastic application to help educate and execute some of the premium features the device has to offer. The standard list of Battery Meter, Caller ID, and A2DP for streaming music, are all there, but the feature I love the most are a result of the in-ear detection. 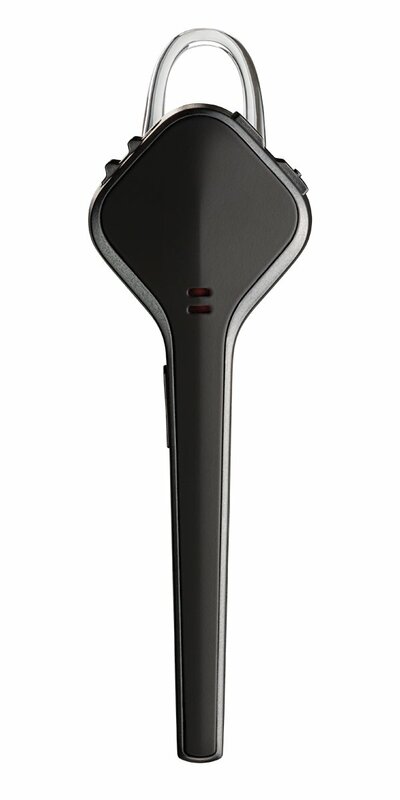 The Edge uses its sensor(s) to detect when the headset is in your ear, and offers features like "Smart Call Transfer" will transfer a call from your handset to your headset when equipped (or vice-versa when not), and "Call Button Lock" to prevent arbitrary callback or call answer when the headset is not equipped. If you're like me and you keep the headset in the charge base until needed, you could enable "Auto Answer" which will answer the call immediately after the headset is equipped. I normally wouldn't clump fitment in with features, but one affects the other in this case. I have tried all of the different ear pieces, and while the fitment of the headset is fair, I can't say that it's superior to the fitment I had with either ERA. This can sometimes lead to some fatigue on the ear after long calls, but the worst case I've run into is when the fitment directly affects the Edge's ability to detect in-ear status. 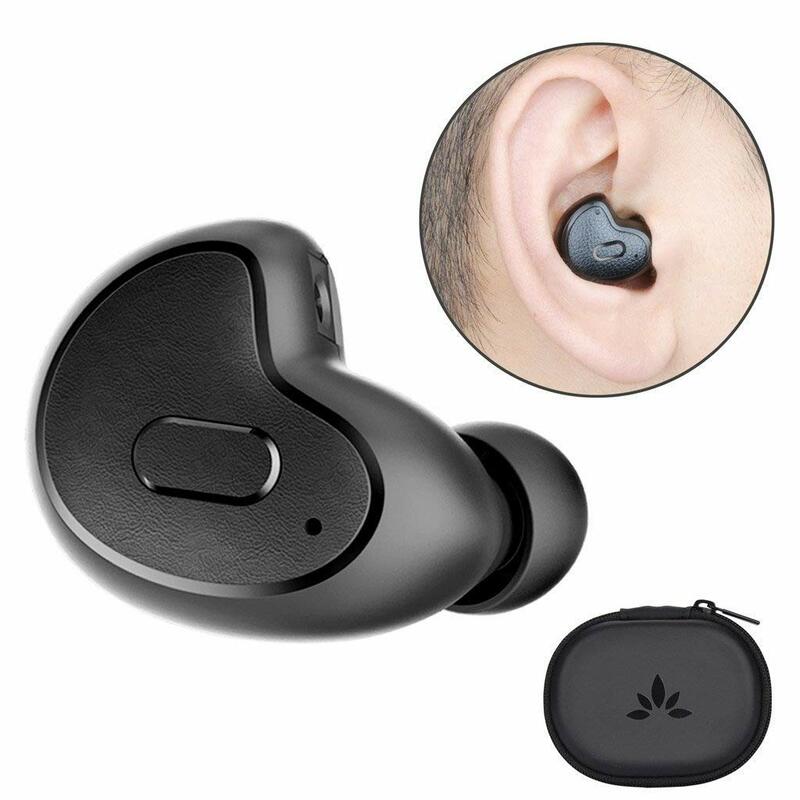 If the headset isn't secure in your ear, the headset will have trouble determining if it's still in your ear or not, and if you have the aforementioned "Smart Call Transfer" enabled, then the headset will play a game where it transfers your call back and forth between your handset and headset. It doesn't happen often, but it's difficult to tell when it starts as the device doesn't make a sound on disconnect, only on reconnect. There have been times where I had been talking for 20 or 30 seconds before I realized that my headset had transferred my call to my handset. Fitment is also relative to all of the tactile button features. Button placement is something I've always hated but tolerated on my Jawbone devices, but Plantronics really does a fantastic job executing a multitude of buttons while maintaining a pleasing design aesthetic. Power is a sliding switch with a row of tactile ridges; the button has a crisp *click* and a voice alert to let you know when the device is power on or down. 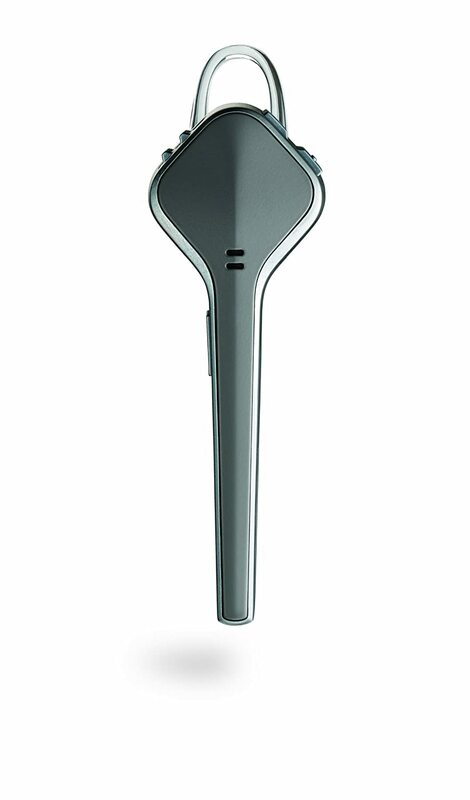 The volume is a rocker button with a raised bump on the "volume up" side of the rocker. 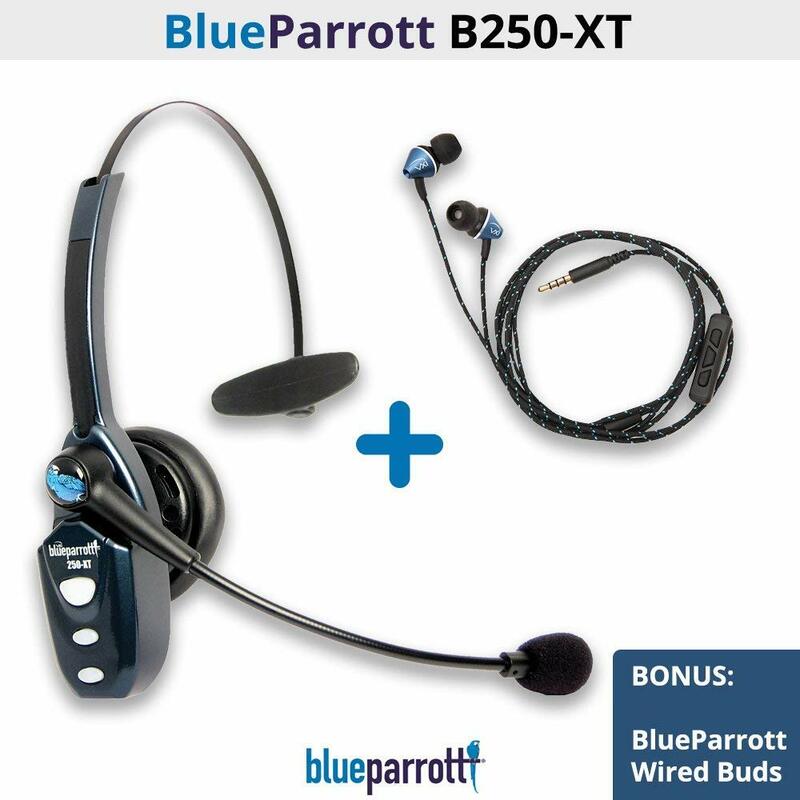 I'm able to raise and lower volume without significant headset movement; have found the buttons easy to find and identify, and they provide both excellent tactile and voice feedback when pressed. 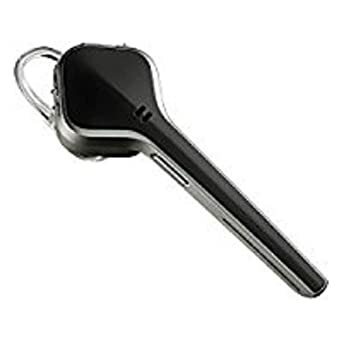 The mute button is probably the most priceless button on the headset for anyone who does frequent conference calls. I have had my fair share of conference call mishaps on account of a faulty mute button, so the execution of the mute function is great on several fronts. The button is dedicated and in a place that is impossible to confuse with other buttons (at the base of the boo mic), it's independent of the soft mute on your phone, the PLT Hub App allows you to configure a mute warning interval to let you know that your mute is still on and functioning. The only thing i would maybe like to see is the option to have the mute button synchronize with the soft mute button on your phone. Personally, i like having the mute buttons independent of each other (you can never have too many fail safes), but for convenience, i could see this as an annoyance for some. The Primary button (square face of headset) works as expected, nothing much to say here. I haven't paid retail for a headset since the Voyager 510, I had always taken advantage of some Federal Govt deal, or business discount. I bought this headset very soon after it was released at full retail. Now I can get it half off through my employer's EPP program with AT&T (Jawbone doesn't qualify), I honestly felt it was still worth it, even at the full retail price, and am even considering purchasing a second one for my wife or as a gift for my dad. 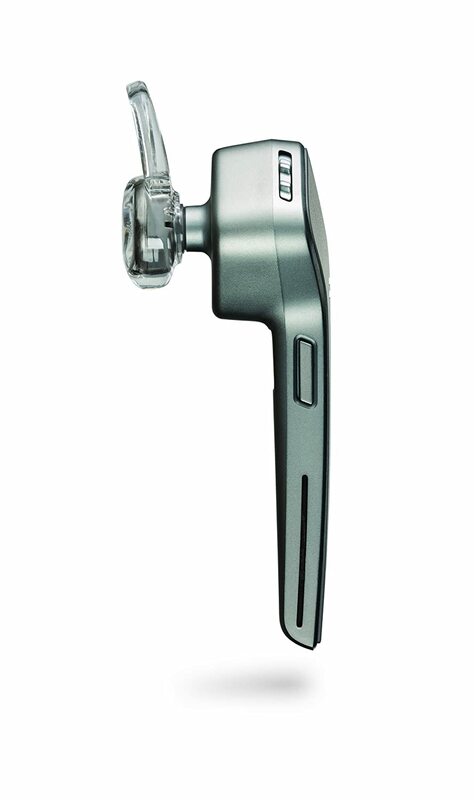 Not much more to say, this is the best in-ear form factor headset on the market. As far as style is concerned, I prefer the Jawbone's look, however, there is something to be said about having people notice that you're wearing a headset. I've had far less "confused stare" occurrences on account of people noticing something in my ear. With headsets becoming common place now, I've also received lots of compliments and inquiries regarding the headset as well. I purchased the Arctic White, if I could go back, i probably would've purchased it in black; the white comes off a bit yuppie, like I should be wearing a matching white suit, own a macbook, and have a white sports car parked out front. Basically I need to be Don Johnson. This is the first Plantronics headset I actually hate. I couldn't believe it was so bad, so I returned the first one to Amazon and got another. That one was no better, so I thought maybe they were knockoffs. I ordered one directly from Plantronics to be sure. Same thing. Awful. It's so bad I'm going to sell this last one on eBay. The issue is quality, reliability and consistency. It disconnects itself from calls (the audio goes back to my iPhone without warning), it sometimes won't answer calls, the on/off switch broke (easily) on one of them, the sound buzzes at times like a blown out speaker and the earpiece slips too easily (*), causing the headset to droop. I don't have any of these issues with my Voyager 975's. I even downloaded the Plantronics Hub app on my phone to see if that would help. Then I called Plantronics tech support and was told how to "reset" the headset. Nothing helped, except maybe temporarily. * - When I say "slips", it doesn't move around in my ear. 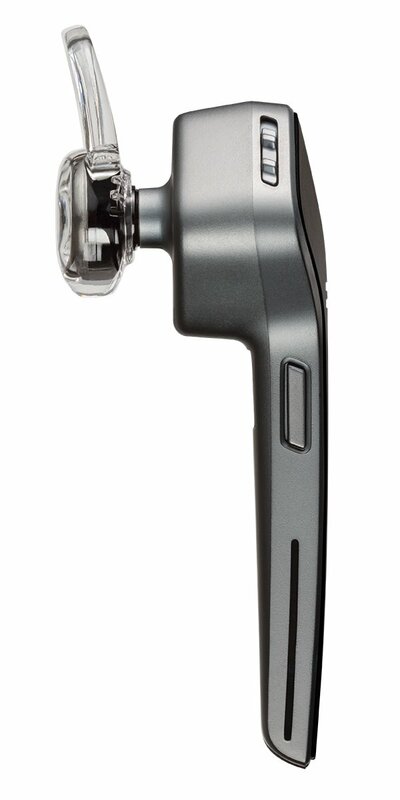 The earbud literally rotates around the headset. Not enough friction between them to keep it in one place. About the only nice thing I can say is that the noise cancellation in the mic is very good, even better than my Voyager 975's. 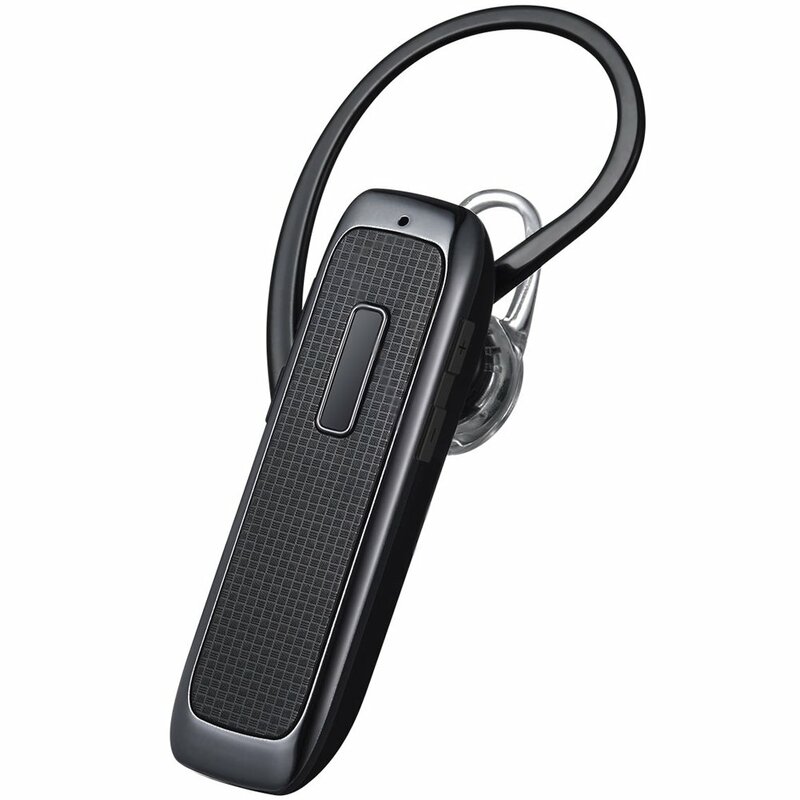 I think Plantronics got carried away with trying to pack this with features and that caused problems. I'm ordering another Voyager 975 today, before they stop making them. I like the Bluetooth it self, but it does not last. 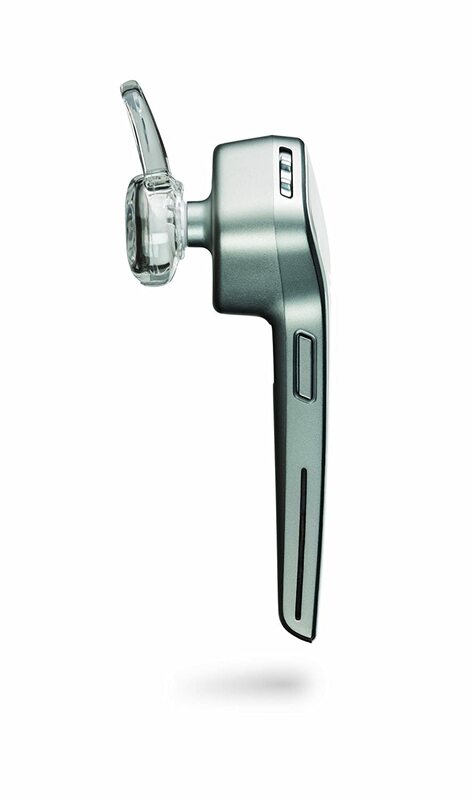 It is not the first one I have from plantronics, this one is really confy, good signal, The wearing sensor is faulty, but disabling it works (use the Hub). I wish Plantronics give a full year warranty, if not it is wasting the money.